Defence ministers from the Asean grouping meeting here from Friday (Oct 19) are set to ink the world’s first multilateral air guidelines on engagement between military planes, with major powers such as the United States and China possibly coming on board too. The Fourth Industrial Revolution refers to a set of highly disruptive technologies, such as artificial intelligence (AI), robotics, blockchain and 3D printing, that are transforming social, economic and political systems and placing pressure on leaders and policy-makers to respond. The Chinese State Council has unveiled its plan to establish and develops the Hainan Free Trade Zone (FTZ) on Tuesday. Almost 84 per cent of Southeast Asia’s planned and existing fossil fuel power plants are incompatible with future scenarios that avoid catastrophic damage from climate change, according a new study from the University of Oxford. On the 12th of October, four Indonesians in Surabaya were arrested over their involvement in an extensive baby selling operation conducted over Instagram. Southeast Asia has long been renowned for its vibrant tourist destinations, growing economies and rich cultures – but so too is it becoming notorious as one of the world’s leading plastic users and polluters. Youths in the region are extremely positive about the impact of technology on job prospects and income, a survey by the World Economic Forum (WEF) and Singapore-based internet company, Sea has revealed. Unlike other sectors which can be completely disrupted by automation or technology, the healthcare industry is a space where technology can complement rather than threaten. UOB launches its pan-regional Engagement Lab (eLab) on Thursday, making it the first dedicated unit set up by a Southeast Asian bank that focuses on using the latest technology and behavioural insights to deepen customer engagement. A rare masterpiece by pioneering Singaporean artist Liu Kang is centrestage at the Henry Butcher Art Auctioneer’s ‘Malaysian and Southeast Asian Works of Art’ auction preview at Galeri Prima, Balai Berita Bangsar, which began today. The bank plans to set up eLabs, which the bank deems as the first technology and behavioural insights-based unit in the region, across its network of ASEAN countries such as Singapore, Indonesia, Malaysia, Thailand and Vietnam. 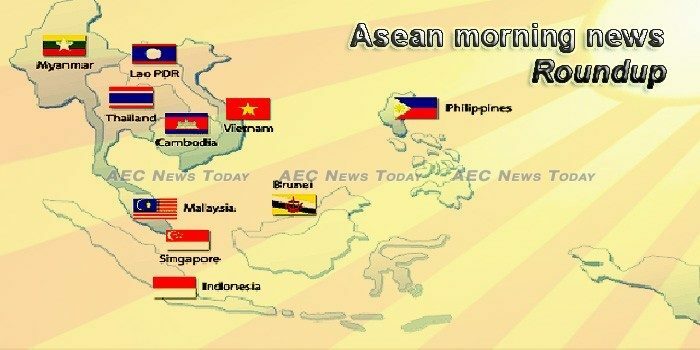 Data from the Asian Development Bank (ADB) shows that by 2050, persons aged 65 and older will make up 15 percent of the Southeast Asian population, tripling the 2010 percentage of 4.8 percent. The Cambodian government plans to standardise the import of automobile especially second-hand cars to ensure quality and safety for the end-user is not compromised, a senior official from the Ministry of Public Works and Transport has said. If nothing else happens, a dismal outlook looms ahead as Cambodia’s trade preferences under the Everything But Arms (EBA) agreement granted in 2011 by the European Union (EU) risk termination in 18 months. Cambodia and Thailand have agreed to promote the use of single visa for foreign tourits, particularly among those traveling within the Ayeyawady-Chao Phraya-Mekong Economic Cooperation Strategy (ACMECS) countries. Agricultural production in Laos is mainly of three types – native agriculture, mixed crop plantation and commercial production, the Department of Planning and Finance under the Ministry of Agriculture and Forestry stated at a seminar to mark World Food Day and International Day and National Week for Poverty Eradication in Vientiane on Tuesday. Laos will attract more quality investment, including from the United States, as the small landlocked country continues to improve its investment climate, a senior official from the US State Department said this week. Investment pledges approved by the Board of Investments (BoI) grew by 19 percent to P454.8 billion in January to September this year from P381.2 billion in the same period last year, the Board of Investments (BoI) said yesterday. A 27-year-old education researcher from the Philippines was the lone representative of an Asean member country to garner an award in the recent Asian Development Bank’s (ADB) Youth Water Photo Competition, #WaterYouDoing. A human-resource survey of more than 5,200 workers at 150 companies across the Philippines has named more than a dozen domestic employers as among the Best Philippines Companies to Work for in Asia 2018. Prime Minister Lee Hsien Loong and German Chancellor Angela Merkel on Thursday (Oct 18) welcomed the upcoming signing of the European Union-Singapore Free Trade Agreement (EUSFTA) when they met on the sidelines of the 12th Asia-Europe Meeting Summit in Brussels. A job advertisement in the print edition of The Straits Times classifieds section has attracted tonnes of curious attention. Seventy-two accounts on the Health Promotion Board’s (HPB) HealthHub portal were accessed without authorisation, the agency said on Thursday (Oct 18).